Take a seat at the Ilana Antique Java Vanity Desk while you get ready for the day or an evening out and have everything you need right at your fingertips. 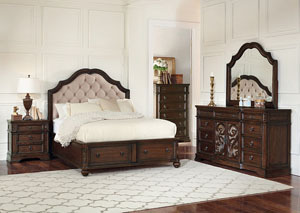 The desk features the same beautiful wood detailing, antique java finish, and felt-lined drawers as the other items in the collection. 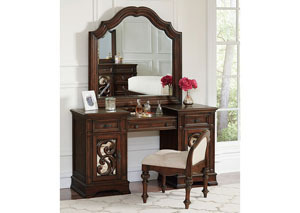 Pair with the coordinating mirror and stool for a complete, romantic vanity set.